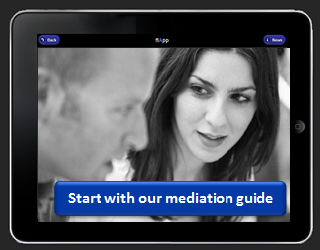 If you are exempt from attempting Mediation or if Mediation is unsuccessful consider Step 2. If your seeing your child is in dispute, you should be asking for interim contact at the First Hearing and Dispute Resolution Appointment and within your C100 Application to the court or upon the C7 form if you were not the one who applied to the courts (the C7 will be sent to you if you are the respondent). Sometimes, matters can be resolved at the first hearing. If not, the court may wish for additional evidence before making a decision. That can include CAFCASS preparing a welfare report, an invitation to the parties to prepare a statement for the court, and the involvement of experts. Directions or review hearings may be set to consider the evidence in part, see if the parties agree with that evidence and any recommendations (such as from CAFCASS investigations) and see what matters the parties agree or still disagree with. To run slide shows, if using a PC or MAC, move your cursor below the iPad picture. To pause the slide shows, place your cursor on, or on either side of the picture.